Keep your car clean – A messy car just might give a thief the assumption that there might be some treasure buried under all that junk. Don’t give a thief that assumption. Disconnect the battery – If you’re going to be away from your car for a week or more, consider disconnecting your battery before you leave. 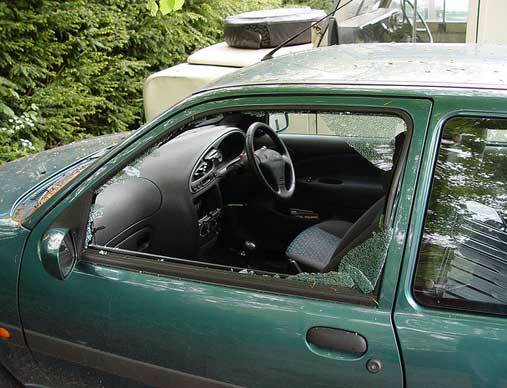 If a thief is able to break into your car, chances are they’ll be too frazzled to try and figure out why it won’t start and will quickly retreat. Don’t leave valuables in your car – This includes CDs, GPS, laptops, radios, and even loose change. Lock your doors – It doesn’t matter if you’ll be away from your car for 12 hours or for 10 seconds, locking your doors dramatically decreases the chance your car will be broken into. Check out our large selection of new vehicles with top of the line security! Previous Previous post: The 2013 Dodge Dart is Available Now!